The first foal out of champion racemare Close Hatches won his first race at Aqueduct on Saturday. Racing for owner/breeder Juddmonte Farm, the Tacitus came from off the pace to win by a neck under jockey Jose Ortiz. The 2-year-old son of Tapit covered a mile over the “good” main track in 1:38.69. Trained by Bill Mott like his dam, Tacitus broke his maiden in his second career start. In his first outing on Oct. 4, the colt was much closer to the pace but faded in the stretch, finishing fourth. Close Hatches compiled career earnings of over $2.7 million, winning races like the G1 Mother Goose, G1 Cotillion, G1 Apple Blossom, G1 Ogden Phipps, and G1 Personal Ensign. 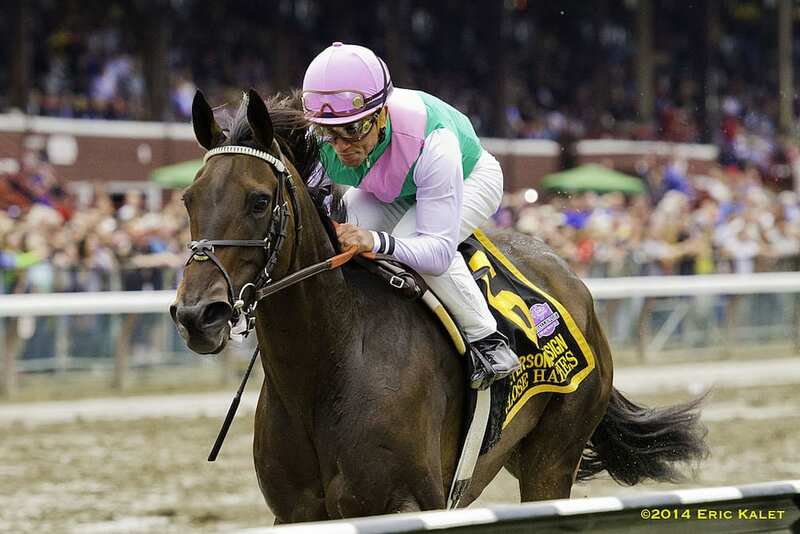 She was crowned as the champion older mare of 2014 at the Eclipse Awards. This entry was posted in Bloodstock, NL List and tagged aqueduct, bill mott, champion, close hatches, eclipse award, jose ortiz, juddmonte, juddmonte farm, tacitus, tapit by Paulick Report Staff. Bookmark the permalink.